The importance of finding a relaxing outlet in life should never be underestimated. Lifestyles are unhealthily hectic these days, with the potential for health-ravaging stress facing us daily, especially when you have a family to take care of. With so much going on, our own needs can easily be overlooked, occasionally leaving us unfulfilled, miserable and sometimes even depressed. Having that ‘me time’ to purge the stress of daily life is imperative for your mental heath, and given that they both have influence over one another, your physical health too.Making that time and finding a therapeutic outlet is often a challenge within itself, but it’s important to do so. As a person, it’s difficult to be positive or be at your best if your life doesn’t offer any mental ‘pressure’ release. This all might sound somewhat cliché, but how many times have you tried to give yourself that ‘me time’ only to end up struggling to commit to it as your mind can’t temporarily detach from your responsibilities? This is why pursuing therapeutic activities often prove to be more valuable than simply setting aside an hour to sit down and do nothing. They rejuvenate the mind, allowing it to unwind, instead of just halting it for a while. There are countless activities out there that offer this ‘pressure release’, or catharsis. Some seek it through exercise, others in gardening, and many in reading; though many also find a great deal of relaxation, release and fulfillment in creativity. Creativity in any form can be a powerful therapeutic tool, allowing us to ‘let go’ of it all and put it somewhere else; be it on a canvas, into a song or any other form of artistic expression. Some of the greatest artworks and music of all time have been a result of a person purging themselves of their troubles and channelling it in a creative way. When this is prompted as a means of therapy, professional or otherwise, it is commonly known as ‘Art Therapy’. The definition of art therapy can vary, but can usually be divided into two distinct categories: Art within therapy, and art as therapy. The first being the therapeutic use of creating artworks within psychotherapy, usually for the benefit of those with illness, psychiatric conditions, trauma or other challenges within their lives. The second, a means of creative catharsis, for those with comparatively more ‘normal’ lives. Within a psychotherapy environment however, art therapy is a much utilized method for professional therapists to communicate with patients; particularly with children or people that find communication via normal means challenging. Using art as a means to express their emotions, they are able to ‘talk’ with less inhibition; a therapist will interpret expressions made within artwork, and then through discussion will elicit interpretations from the patient, opening a channel for gentle, mostly indirect, communication. 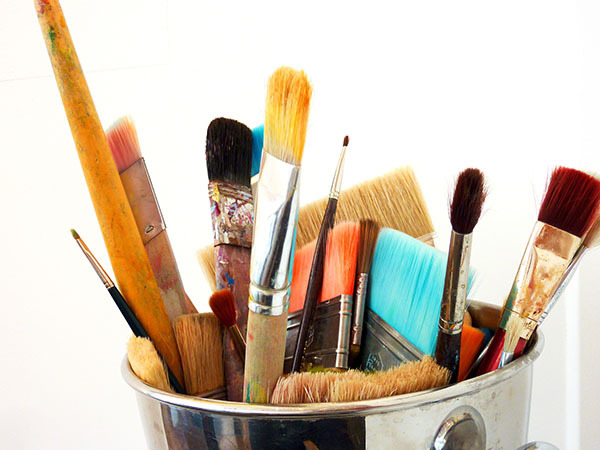 Art therapy can also be used as a distraction technique, where a patient can immerse themselves within an enjoyable activity such as painting, which acts as a diversion whilst talking, allowing less conscious communication with a mental health professional. Art therapy is also used in a less structured ways within certain environments, such as rehabs or prisons. Recovering drug addicts, prisoners, and others distanced from society can often find solace within the arts as they prepare to reintegrate themselves back into the world. 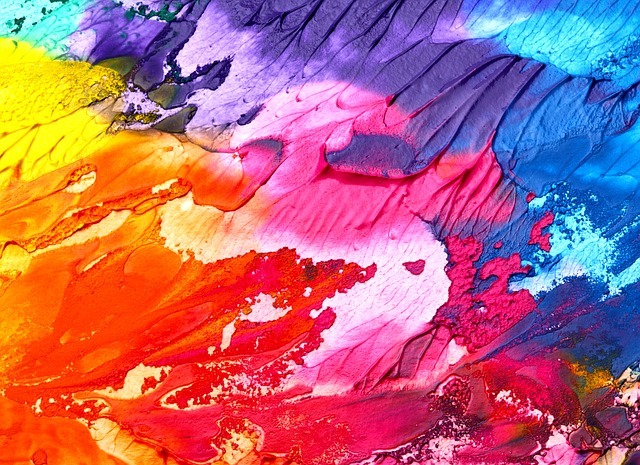 Art can allow them to connect, or indeed reconnect with their authentic selves once again. However, art therapy isn’t strictly reserved for those dealing complex mental health issues, or those on the fringes of society. People with more common conditions, such as depression or anxiety, can also benefit from art therapy; as can those with relatively untroubled lives seeking self improvement. These days there is very little stigma when it comes to finding help when you’re going through a trying time. 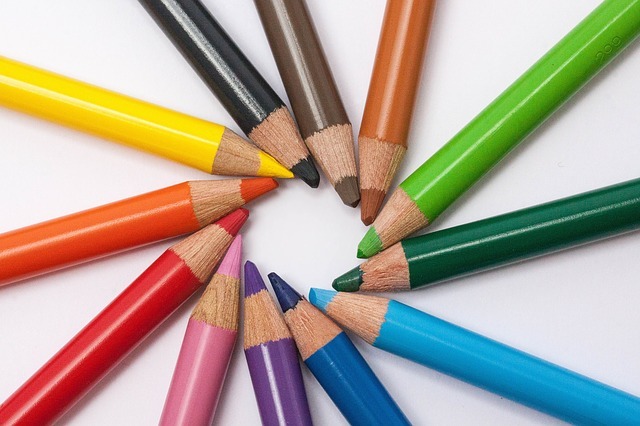 We all know someone who has benefited from having therapy, though very few of us know someone who has tried art therapy – despite its origins being firmly rooted within psychotherapy itself. A quick internet search yields thousands of results for those looking for a therapist offering such methods, along with courses, groups and websites dedicated to the practice. However, you don’t necessarily need a qualified therapist to take advantage of art therapy, nor do you need any artistic skills or talent. It can all be done from the comfort of your own home. An open mind, an hour or two to yourself, a few materials (they don’t have to be expensive ones) and you can be well on your way – and prepare to be surprised with what you come up with. The one obvious difference between art therapy and your average therapy is that artwork is used to communicate, instead of words. In much the same way as holding back words would slow the process of a therapy session, so would holding back your artistic expression – and this applies either at home, or within a professional therapy environment. Therefore, at least initially, it’s better not to over-think what you intend to create; be that the subject matter, or the composition – and especially anything in relation to the possibility of someone else seeing your artwork. All that will do is make you focus on making it look ‘pretty’ so others judge it favourably, which entirely defeats the purpose of art therapy. Remember, this is purely for you, so treat it like no one else will see it (and if you create an utter monstrosity then no one has to see it anyway!). The point of art therapy is to let go completely and express yourself, with no boundaries, no inhibitions, and no fear. Don’t over-think what you create, or you risk diluting true self expression. Let your emotions out as you as you work, and if it helps, play music that mirrors how you feel to encourage them to flow. As you paint, or draw (or whatever you may prefer to do) you may begin to learn things about yourself that wouldn’t have otherwise been revealed. For those that don’t view themselves as creative by nature, this may surprise them. You can interpret a lot from your own artwork. For example, it can be as simple as harsh, ragged brushstrokes revealing the extent of your frustrations within life, or a scattered drawing comprised of many concepts that may reveal a cluttered mind beyond what you initially realised. Art therapy allows you to view yourself from an objective perspective through your work, holding up a mirror to the ‘real’ you. It can expose your fears, your insecurities, your strengths and any other positive or negative aspects of your mindset. Using art takes these internal emotions and brings them to the surface where you can see them, allowing you to confront them, deal with them, or accept them – which is the goal of any therapy; allowing you to move on and continue on with you life unburdened. As you begin to feel more comfortable creating art and self expression starts to feel more natural for you, perhaps then is the time to focus a little more on creating something aesthetically pleasing and artistic; but don’t make that the only priority. Remember, a piece of art without emotion or meaning behind it is entirely pointless, and of ceases to be art. If you want more of the therapeutic than the therapy, then a creative activity will offer that to you if you simply take it up as a cathartic hobby. As well as a fun and worthwhile outlet to dive into during your down time, the proven health benefits are pretty fantastic. It goes without saying that any relaxing activity you enjoy will decrease your stress levels, which in itself will lead to better over all health – instantly making it worthwhile. Aside from that however, getting creative stimulates the brain. Keeping your mind stimulated keeps it sharp, which is especially important as we age. Studies have consistently shown that creativity is especially beneficial as we get older, particularly for those with dementia. As Dr. Bruce Miller, a neurologist at the University of California states “Even though our brains age, it doesn’t diminish our ability to create” and is therefore encouraged for the elderly. Those with dementia who engage in creative activities have been shown to have improved cognitive processes, improved positive emotional responses, and a better mood and attention span – leading to a better quality of life. As well as keeping your mind healthy now and promoting its vibrancy well into old age, being creative is just good old fashioned fun, and it’s rewarding fun too. Self expression is part of what makes us human, and channelling that into art has been something we’ve been doing throughout the ages. However there are many people in this world that simply don’t consider themselves at all creative, and dismiss their abilities as non-existent, usually before they’ve even explored them. The fact is as humans we ALL have the capacity to create and it’s important to remember that creativity comes in many, many forms – not just the obvious few such as painting, writing or music. There truly is something out there for everyone, and it can enhance your life unlike anything else.